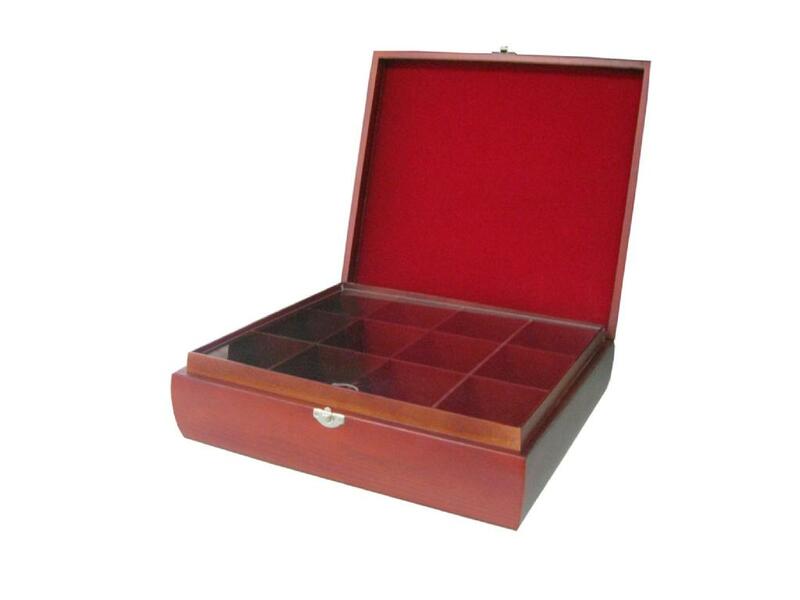 This fancy twelve compartment wooden tea chest is built of solid poplar wood with a rich burgundy stain inside and out. Inside of this tea packaging box, an arcylic glass window covering the tea bags makes this chest more attractive. Lined with quality felt, the inside of the lid can be customized with your logo by our silkscreen process in gold or silver. At Extreme Enterprise, our skilled craftsmen are committed to producing high quality products, at a much more reasonable price than our competitors.